We bring you the latest news from the employment tribunals and courts in this special update. We learned today that the Appeal Court (which hears appeals from the Employment Appeals Tribunal) is considering televising its proceedings. It will run a trial in three courts in London (though not yet for tribunal cases). The cases will be streamed on Youtube and we will be advising our clients with Birmingham employment tribunal cases to watch some cases because it shows them what to expect from a full trial, including cross-examination. 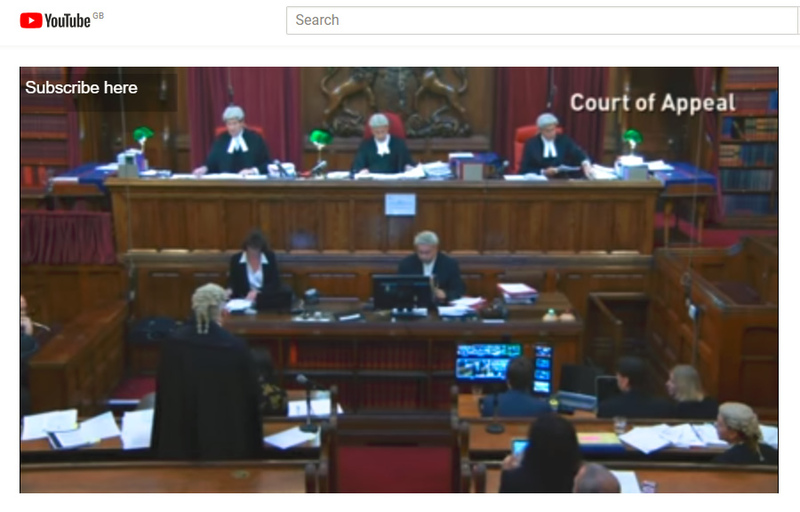 Live streaming is already available for the Supreme Court (formerly called the House of Lords) but there are no plans as yet to extend this to other venues such as the Birmingham Employment Tribunal. In a separate development, we read that a judge has been charged with accessing court data on a case she was not involved in, for curiosity reasons. This is a breach of data protection laws and gross misconduct. We understand that the judge had a personal interest in the case. She faces a Crown Court trial and if convicted is likely to be fined and lose her career. This case is of interest in light of this month’s GDPR listlation, which tightens the regulations on how companies should be storing and using personal data. Of course, the book is being thrown at this criminal court judge, in light of who she is and the fact that she ought to know better. But it highlights that companies and their staff should all be aware of data laws and the importance of dealing with data correctly. We have just produced a short guide to the changes in data laws for our EPS clients together with a one-stop document that covers them from all legal angles. Our EPS is a monthly HR subscription service for employers that acts as an outsourced HR department.